The National Youth Theatre is using the stage as a voice to bring much needed attention to the social problem of youth violence and knife crime that has gripped London in recent months. 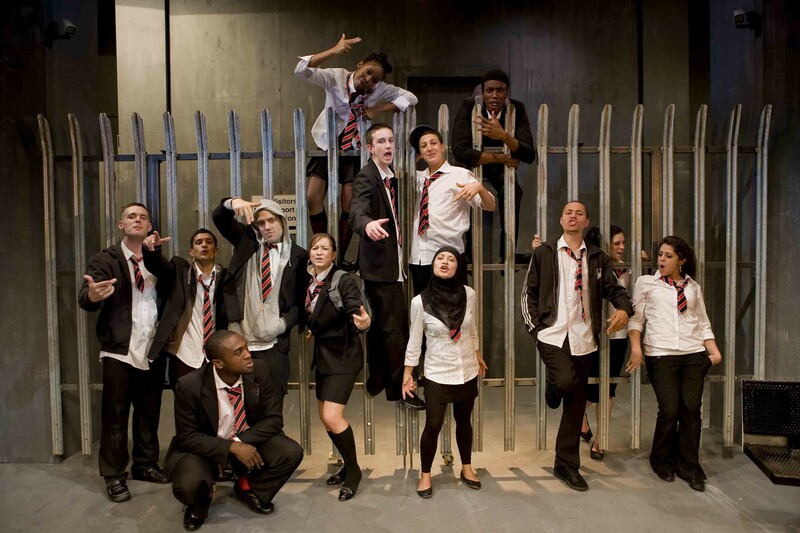 Written by Tanika Gupta, White Boy, was last year’s runaway success at the National Youth Theatre as part of its 2007 Generation ID season exploring the theme of identity. The play opened to critical success for its urgent topicality and treatment of issues centred on race, identity, teenage culture, and the unfortunate reality of knife crime. Gupta, who started writing as child, has written widely for the stage, television and radio. She is known for hard-hitting plays such as Gladiator Games and Fragile Land, and is an award-winning playwright. She was commissioned by the National Youth Theatre to specifically write a play about identity. Gupta explains she decided to focus on the, “Issue of identity more than black identity and I was quite interested in the areas of stabbings that had taken place recently and I married the two ideas into a play.” However, she is quick to point out it was not solely about the experience of writing about a sensitive subject matter because it is not a new territory for her as a writer. It was about being able to take the theme and write an interesting play because “If you don’t have intense experience in difficult sensitive subjects, then the plays aren’t very interesting,” says Gupta. As with all things, a production never goes without its challenges and for Gupta, it was working with young people. “I’m very used to working with trained adults and its quite daunting for a 14yr old to be acting on stage and in front of a whole audience” she admits. “So, it was very much making them feel confident and that they can do it.” Despite the difficulties along the way, Gupta acknowledges, she also learnt new things from the young ensemble of actors. The most memorable was being corrected on her wrong use of language though she had written colloquially like young people speak. “There’s lots of slang in it which grown ups wouldn’t necessarily understand but even then, I got some wrong,” she explains; but “This young cast set me right, for example, you don’t say snagging anymore, you say lipsing.” It turned out to be a good experience for this playwright who had become accustomed to working with adults that “In the end, it was such a wonderful company that I felt like everyone’s mother,” she says. Note: This feature was written in 2008 and was first published in The Voice Newspaper. This entry was posted on Thursday, June 3rd, 2010 at 7:16 am	and is filed under Features, Interviews, Journalism, People, Theatre Interviews. You can follow any responses to this entry through the RSS 2.0 feed. You can leave a response, or trackback from your own site.